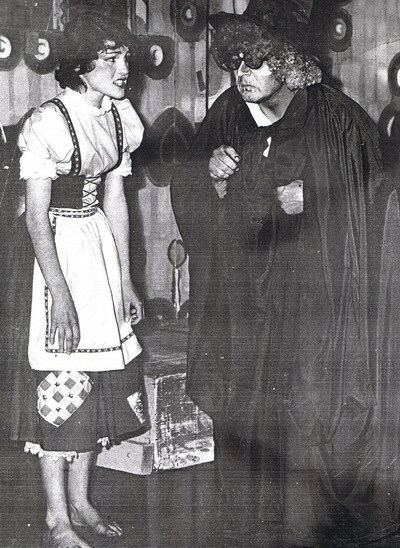 Gretel (Shona Tidswell) ardently pleads with the witch (John Curd) to realeas Hansel. This was the first time in ten years the society staged a production for children (many of the cast of almost 30 were school pupils). Adults 80c, Children 40c and Senior Citizens 50c.